Hey, my name is Renan, I am a 22 year old Brazilian video game developer and starting with this article, I will write reviews and more about games that come out on Nintendo Consoles and sometimes, about the gaming universe, for example, events, that is the topic of this article. 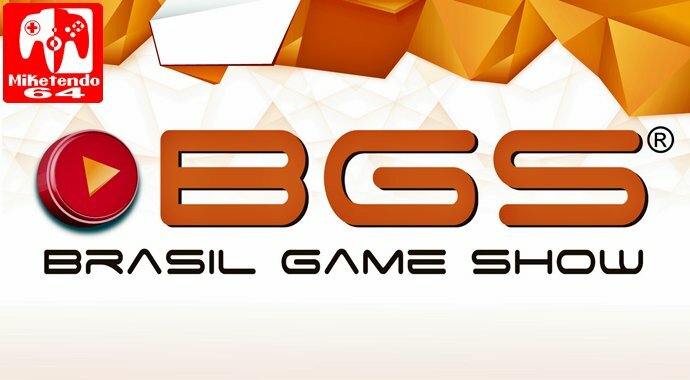 Between October 11th and 15th in Brazil, there was an event called Brazil Game Show (BGS), I was there and I will tell about it. Brazil Game Show is the biggest Latin American Video Game convention, that happens every October in Brazil and gathers some of the biggest video game companies, Brazilian indies and youtubers. This year, it received some important people in the industry, such as Ed Boon, Hideo Kojima and Nolan Bushnell. The first day is limited to the press and to people that bought a special ticket, but the other four days are the public can pay to enter. The biggest spaces were dedicated to Sony and Microsoft, to show their upcoming and recent games for PlayStation 4 and Xbox One, respectively. Sony brought games, such as Far Cry 5, Ni No Kuni II: Revenant Kingdom, Gran Turismo Sport, Dead Rising 4, Fifa 2018, PES 2018 and Detroit: Become Human (Probably my favorite playable PS4 game in the event). There were also some stage activities for Detroit and God Of War, with exclusive prizes and Playstation VR games available, that allowed different experiences, with Moss being a standout VR game. Xbox, on the other hand, was there to promote the Play Anywhere initiative, the Game Pass, which became available in Brazil in September, and the power of Xbox One X. Some of the games available there were Assassin’s Creed Origins, Middle-earth: Shadow Of War, Cuphead, Minecraft and Sea Of Thieves (My Game Of The Event.). Unfortunately, I couldn’t experience the power of Xbox One X, as there were only 2 consoles available. Other Video game companies such as Ubisoft, Warner Brothers Games (representing Warner, EA and Capcom), Activision, CD Projekt Red, Redfox Games were also there showing Destiny 2, Marvel vs Capcom: Infinite, Black Desert Online, Call Of Duty: World At War II, Assassin’s Creed Origins, Middle-earth: Shadow Of War, South Park, Just Dance 2018 and Gwent. No Heroes Here, available on Steam and coming soon to Nintendo Switch and PS4. Restless Face Do Demônio, a horror game with a level randomizer. The Legendary Player, a game that promises to allow you to create your legend. Suits Of Fate, a fighting game that is many years in production. White Lie, a story game with interesting visual. Galaxy Of Pen & Paper, the follow up of Knight Of Pen & Paper. Until Dead: Think to Survive, a post-apocalyptic puzzle game. Dolmen, a game that takes elements from games such as Dead Space and the Soul series. Zaal Junn: Wrath Of Elementals, a game that focuses on using different elements. But not everybody was there. A few companies didn’t show up for the event, for example, Bethesda didn’t have anything available, and it is worse if you consider that The Evil Within 2 launched during the event. I can say the same about Sega, as I was wishing to be able to experience Sonic Forces before it releases, but it was nowhere to be seen. But worst is the absence of Nintendo. It’s been 4 years since they last participated or promoted a big event in Brazil, that was the official launch of the Nintendo Wii U in November of 2013. After that, in January of 2015, she officially stopped selling games and console here. And all of this is reflected in the event, where there was no Nintendo. There was a Rabbid Mario Cosplay and some occasional mention to Mario + Rabbids in the Ubisoft booth. There was a Super Nintendo Mini available to play in a magazine booth and it was being sold by 1 store, but the official price of it in Brazil is R$999,00 ($314,69 as converted on October 19th). That means I couldn’t experience Mario Odyssey, Fire Emblem Warriors, Xenoblade Chronicles 2 and more. What I think is worse is that this was Nintendo’s decision. To conclude, although it has a lot of room to improve, Brazil Game Show is an excellent event that showcases some of the excellent games that will come out in the near future or that came out recently and provides a social experience as you meet new people. So Long and Thanks for all the Fish, BGS and I hope I can meet some of you there next year and that Nintendo decides to participate.